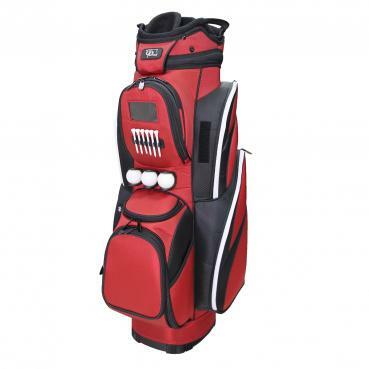 RJ Golf CR-18 Deluxe Cart Bag brings easy access to all pockets while sitting on a riding cart. 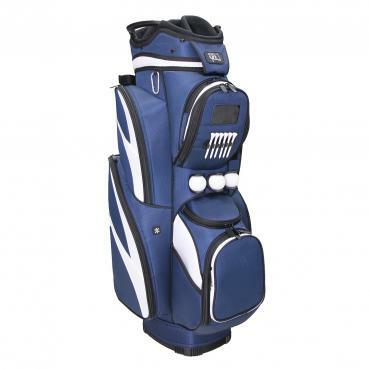 This 9.5" pro-style bag has complete organization for clubs, balls and accessories and large openings for easy club removal and insertion. 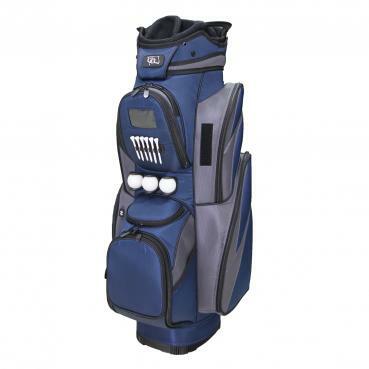 The CR-18 provides plenty of space for all your clubs, balls, accessories and personal items in a sturdy quality cart bag. If you need more room, you are playing with too many clubs!